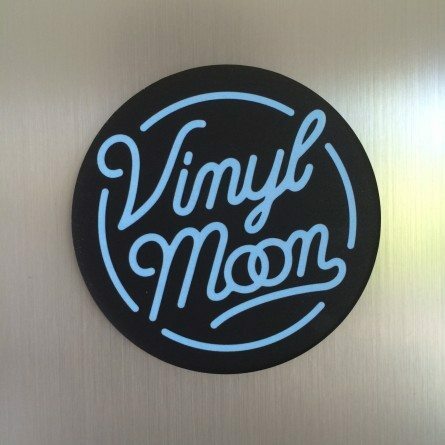 The VINYL MOON logo in bright blue on a black background. Matte finish. None of this weak magnet stuff either.